This is going to be a joyful week!!! 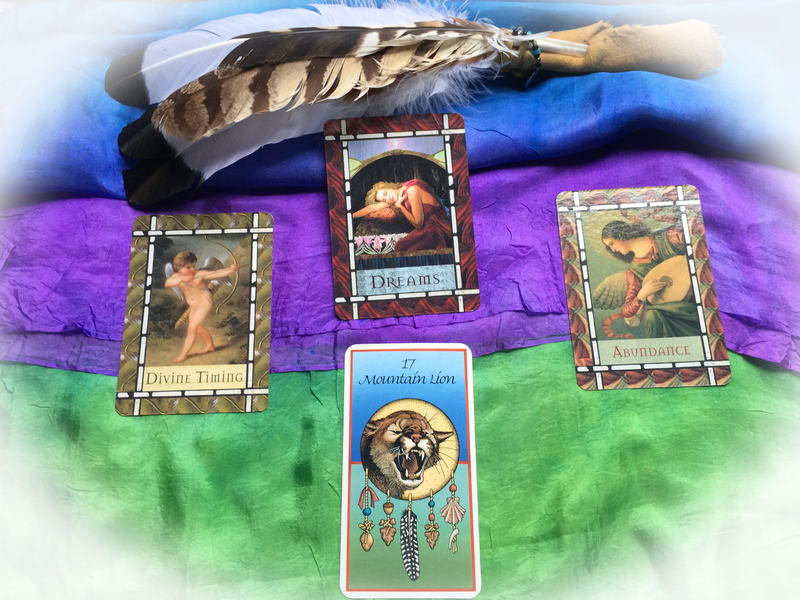 Hi everyone and welcome to another oracle reading from Skyridr!!! This week is going to be FABTABULOUS!!! Since Hummingbird is in your cards as the guiding card all week, get ready to laugh and enjoy the week. Enjoy all your blessings and drop your judgmental attitude and just relax. Remember not to be coarse as Hummingbird is a fragile medicine which has no cares of worldly affairs…it’s target is beauty and the renewal of the magic of living in the moment. As you dart around your week…carry the magic of Hummingbird with you. Remember that you too can instinctly find the beauty of every living thing and person that you come in contact with this week. ** Please note the card number 44…Its and angel card all the way! Monday/Tuesday the card is “New Beginnings”. Hello! Starting today- you have a clean slate if you choose to take it. It is a time of new beginnings and fresh opportunities. How Exciting!!!! You now have the opportunity to encounter fresh and novel experiences. It is time to embrace all the new in your life, including new opportunities, people, and projects. Now I can understand that this can be exciting for some and unnerving for others, but remember that the angels know that and are with you every step of the way! They are with you giving you a boost of confidence and encouraging you every step of the way. How awesome is it to have Angels as your cheerleaders!!! (Rick’em-Rack’em-Rick’em-Ruck’em get that ball and really FIGHT) LOL 🙂 Any time you are afraid or uneasy about your decisions…just call on the angels! They will give you signs and boost your confidence about your new project, job or even the new person in your life. It is all about living in the moment and appreciating all the new gifts that you are being presented with. It is time that you change it up a little bit in order to grow! Maybe the angels ask you to be open to a new approach on living your life or just viewing it. Or maybe you are being asked to learn a new skill! Whatever it is…it is a new beginning for you!!! Make it magical and allow yourself to be stretched by the fresh circumstances. Remember that we learn about ourselves through new experiences…enjoy the unfolding. Remember that you are a natural healer and your healing thoughts have manifested into form. This is so awesome…and I say BRAVO to you!!! You have been working hard through your issues and now is the time to see the fruit of your hard work. The healing can be mentally, spiritually or physically…all that matters is that you are doing the work and it is payday! Remember that healing is all about releasing that which does not serve you and opening yourself up to the new and improved you! You are now embracing the fear and pain and releasing it so that you can make room for the blessings of the light!!!! Remember to focus on what is right in your life instead of what is wrong and hold the awesome thoughts of the end result! Say this affirmation everyday! Remember that you have natural healing abilities and this card ask you to have faith that God works through you as an Earth Healing Angel. Hold those thoughts of love with you in every situation that seems to need healing. Not just for yourself, but with those of your friends, loved ones and with any stranger you come across. Then just give thanks to God for this healing and completely release everything to the angels. The powerful effects of your healing work touch many lives. Remember that!!!! Friday thru the Weekend the card is “Archangel Michael” Yeah Baby!!!! Well this is the way to end a perfect week is the Courage and Power of Archangel Michael. This is perfect because you have had a life changing week. Archangel Michael is letting you know that he is with you and is watching over you! Even though he represents the end of the week, know that he is with you always. AA Michael represents the courage, stemming from knowing that God’s love is the only power there is. 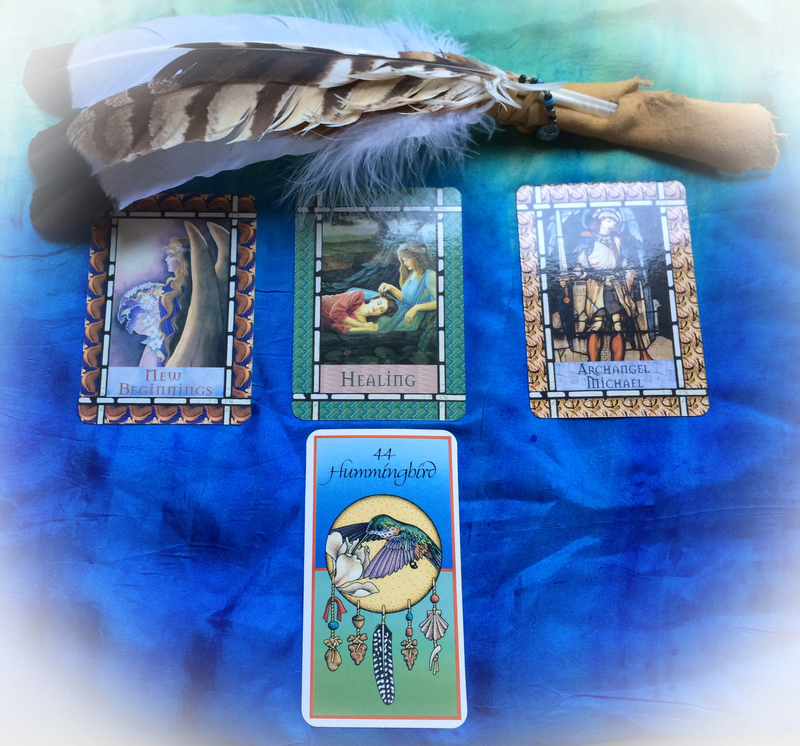 Michael is letting you know that as you are making changes in your life and as you encounter challenges, you are safe and secure. He is with you and staying true to you during this time of change. Nice to know huh? Have a heart to heart with AA Michael and give him your worries…He is there to protect you with his shield and there to cut the cords of energy that no longer serve you!!!. Our prayers are always heard and always answered. We are all so blessed this week! We are all so favored by God. I heard this little thing said by Joel Olsten. He’s a pastor here in Houston. This is an amazing week of favor and blessings.